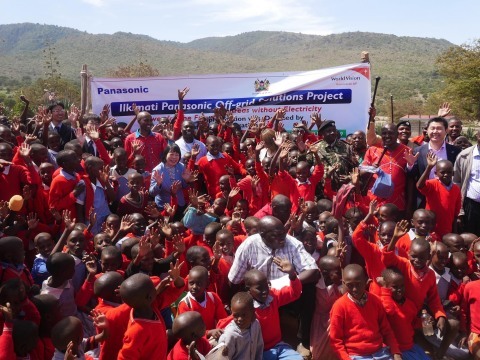 NAIROBI, Kenya & OSAKA, Japan--(BUSINESS WIRE)--World Vision and Panasonic Corporation have launched an Off-grid Solutions Project in Narok County, Kenya. Panasonic has donated power supply stations, solar storage devices, solar lanterns and other lighting equipment at the launching ceremony held on January 31, 2019, in Ilkimati community in Narok. World Vision and Panasonic have launched an Off-grid Solutions Project in Narok County, Kenya, which will bring solar powered electricity to the area.